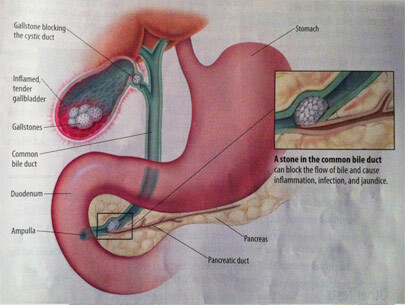 If you are having upper right abdominal pain triggered by certain foods, you may have gallstones. Try avoiding those trigger foods and call our office for an appointment. CT studies and blood work are diagnostic tools used to identify gallbladder disease.